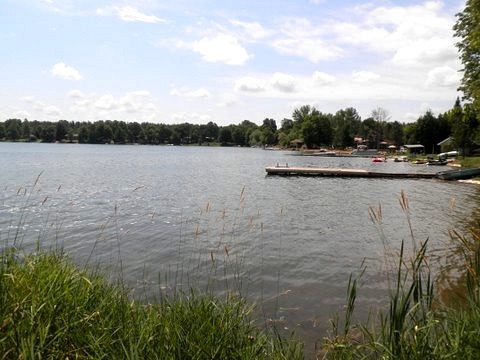 Lake Eugenia Ontario is a man made lake sitting behind Blue Mountain and near Kimberley on county road 13.
water skiing, tubing, kayaking, canoeing, sailing, even fishing. 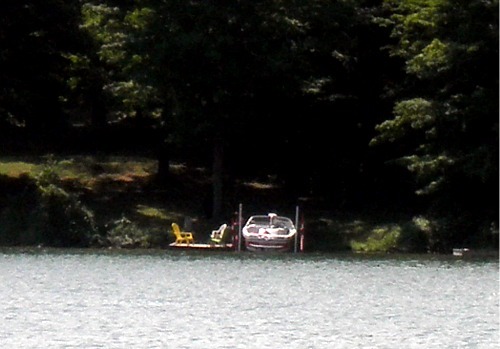 Each cottage has a dock as it isn't a sand beach type place. What is really great about this area is that it is year round; Beaver Valley Ski Club and Talisman is just down the road! Collingwood and Blue Mountain would be a half hour drive. founding father of Beaver Valley ski club. They are still using the cottage year round and so I was lucky enough to see the lake, cottage and area. There are two types of fish in Lake Eugenia, trout and bass. Bass are of the small mouth variety. But the real draw for fisherman are the trout as there are both speckled and rainbow trout. Because the lake is man made it is also stocked with fish, although not necessarily every year. The area is also known for Eugenia Falls found along the Beaver River and views of the Niagara Escarpment. Lake Eugenia has been a hidden part of Grey county since the 1900's when it was made by what is now Ontario Hydro when they were building a hydro dam, which is still in use, in 1912. 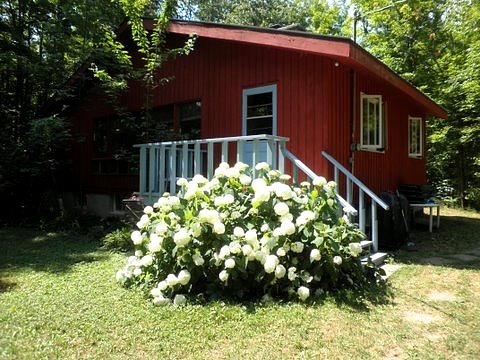 It became a popular cottaging area in around the 1950's and there are now more than 400 cottages on the lake. Now it is a year round community that attracts both summer cottagers and skiiers in the winter. Return HOME from Lake Eugenia Ontario.